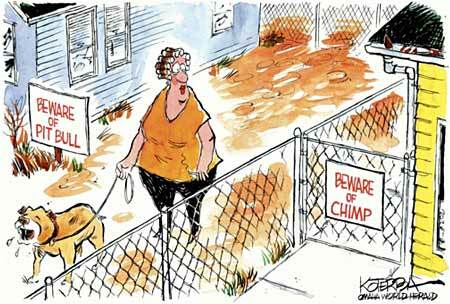 The Dangerous Dogs Act prevents people from keeping certain types of dogs. Why is this Act needed? "Tougher penalties have come into force for dog owners in England and Wales who allow their pets to attack people." "Dog owners face criminal prosecution if their pets bite postmen, as legislation is changed to outlaw such attacks on private property." "Pit bulls are increasingly replacing knives as the weapon of choice among gang members, with equally deadly results." "A judge ruled that Winston had been a very bad dog. He was sentenced to obedience and canine good citizen classes, and he'll have to wear a tag that says he is "potentially dangerous." It also gave police powers to deal with any dogs, of whatever breed, that became out of control in a public place - with destruction of the animal the ultimate sanction." Dog bite injuries "are the second most frequent cause of visits to emergency rooms from 9 activities common among children." This week the RSPCA told The Times that large and aggressive dogs were regularly being used for intimidation and to carry out crime — particularly on deprived urban estates. 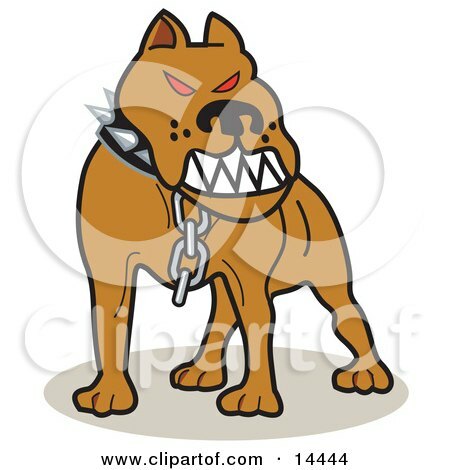 They include not only illegal pitbull terriers, but legal breeds such as rottweilers and bull mastiffs. " "Minneapolis and St. Paul distinguish between "dangerous" dogs and those that are "potentially dangerous." About two dozen dogs that have been declared dangerous are currently living in the cities, and nearly 450 (plus one cat) are labeled potentially dangerous." 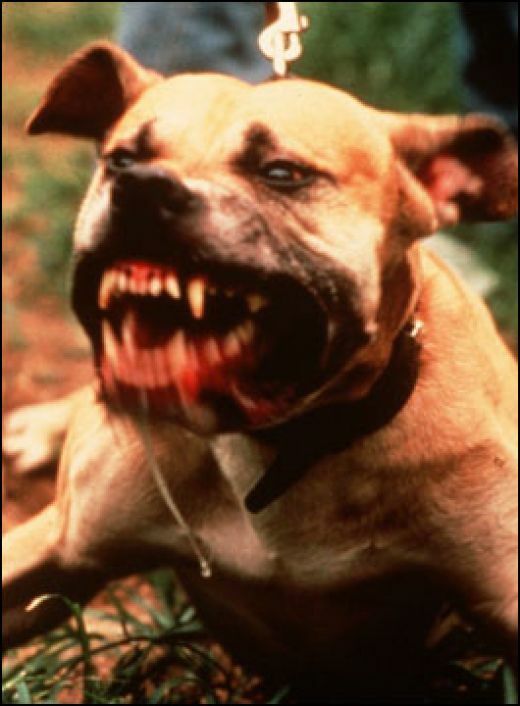 The RSPCA "claims that more than 60% of the calls they get were about young people fighting dogs in public places." - with a documentary looking at why people choose to own banned dogs. "Have you been attacked by a dog? Should all potentially 'dangerous' dogs be banned? Are owners responsible for making dogs dangerous or are some dogs just born that way?" 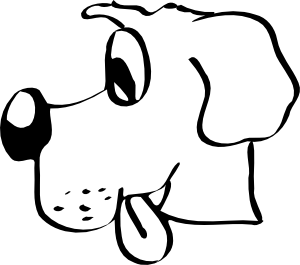 - What action can be taken with regards to a dangerous dog? - What should I do if I suspect my neighbour has an illegal type of dog? - What type of dogs are illegal to own? was formed in London earlier this year to seize and identify dangerous dogs. " - with the transcript "about the pros and cons of dogs, dog ownership, and dog owners." "The dogs can be quite aggressive sometimes." "Il s’agit d’une séquence pédagogique conçue à partir d’un texte support intitulé "Deadly Dogs", paru dans Speakeasy 1988, Nathan. Contenu : Texte support + photo, Worksheets (compréhension du texte, adverbes de fréquence...), Exos Hot potatoes (adv de fréquence, lexique...), Jeu sur les différentes races de chiens." "Objective: To teach students about the legislative process and encourage involvement in their local community." + Worksheet : "Judge theDeed, not the Breed"
"A big problem in our country is the fact that every year, only in Santiago, 30000 people are attacked by dogs, and obviously this is something that needs to be solved. Just last year a new law was created about the responsible breeding of potential dangerous dogs and with this there was a debate about which kind of breeds were more dangerous. 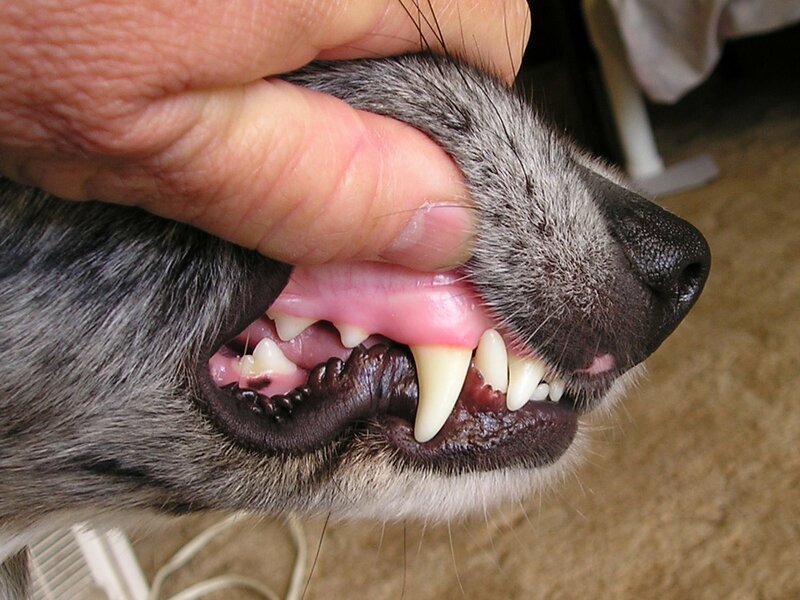 There is a list of 12 breeds that are considered in this law; lots of them have a long history biting and killing people, but there are not included the dogs from the streets, which are the ones that produce more than the half of the cases of bites. Do you think, among your experience, that this new law can be the answer to prevent or decrease the quantity of bites?" I bought you for protection! 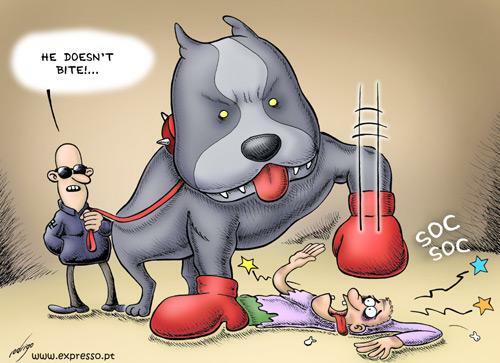 "The issue of dangerous dogs and breed specific legislation debated in the news." TOP 10 MOST DANGEROUS DOGS???? "Rickie Haywood-Williams meets the young men who take dangerous dogs onto the streets and asks whether dogs have become the new weapon of choice. He discovers that some owners deliberately train and abuse their animals to make them vicious attack dogs, and learns that the most iconic and feared dog of all, the pit bull, is back on our streets. " "Up and coming Hollywood starlet Julie Sawyer (Kristy McNichol) takes in a stray German Shepherd after accidentally hitting it with her car. Though the animal seems friendly and protective at first, it soon reveals a startling aspect of its nature: it will brutally kill any dark-skinned person it sees..."
"This is the scene where the midway rehabilitated dog escapes and commits yet another brutal crime. The trainer sees now what needs to be done in this powerful scene." Ending from the movie "White Dog"